Reports are coming in from Galaxy S2 owners in the UK and Europe that their phones are now receiving the Android 4.1 Jelly Bean update. The new software has, like most Android version updates, been a long time coming. Announced in September last year, it only became clear at the beginning of this month that its release was imminent. According to SamMobile’s update tracker, Jelly Bean is now available in China and Spain, however a reader from the UK has informed KnowYourMobile his Jelly Bean update was live on the evening of January 23. A quick check on Twitter shows many Spanish S2 owners tweeting about their newly updated phones, along with several from the UK too. 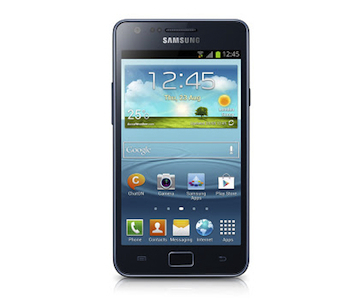 Android 4.1 Jelly Bean for the Galaxy S2 contains a wide range of new features, plus a version of the Nature UX seen on the Galaxy S3 and the Galaxy Note 2. Several other features from these two devices will also arrive on the S2, including Pop-Up Play and Smart Stay. Samsung’s new Galaxy S2 Plus also gave us a hint at what the update would bring to the original S2, as its specification is identical to the first model. It also features the Nature UX, plus Google Now, Direct Call and S Voice. Initially, the discovery of a Samsung webpage which provided details of the Android update warned it would only be available through Kies, Samsung’s device management software; however this may not be entirely accurate. If you have an unlocked Galaxy S2 GT-i9100, have a check of Software Update to see if an over-the-air version is available. As you’d expect, it’s these carrier-free Galaxy S2 phones which will get the update first, but those locked to a network are sure to follow in the future. If your phone has been officially Jelly Bean’d, let us know in the comments.